Sell Bags in China: China has now evolved as a land of younger and more sophisticated shoppers with immense fondness for luxury bags. China’s Millennials are tech-savvy, educated and well-traveled individuals representing 415 million, or 31% of the total Chinese population and they are emerging as the new target market. 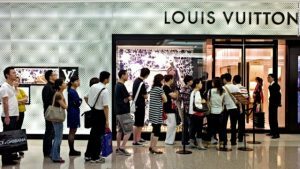 “The Chinese customer is becoming a lot more global, and has thirst for newness” said Andrew Keith, president of Lane Crawford, the high-end fashion retailer. 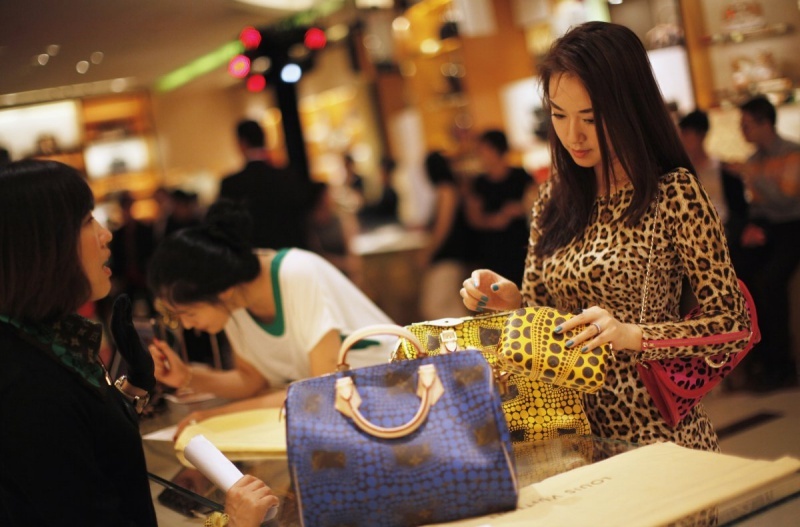 Chinese shoppers are accounted for 30 percent to half of the world’s luxury purchases. While Bain & Company sketched, that share of the global luxury market of China decreased by one percentage in 2016, but still Chinese shoppers are one of the most important shoppers worldwide for the global luxury industry, and will continue to be in the coming year as the upper-middle class rises across the country. The demand for luxury bags can be estimated, when Mr. Bags managed to sell 1.2 million RMB ($173,652) worth of designer handbags in just 12 minutes. On Valentine’s Day, Mr. 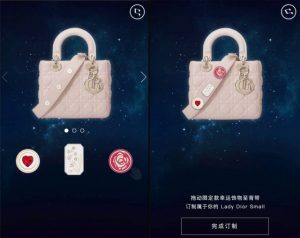 Bags collaborated with Givenchy to promote its limited edition pink Horizon handbags, available exclusively on WeChat to his followers, who he refers to as “bagfans.” All 80 pieces, each priced at 14,900 RMB ($2,170) were sold out almost instantly. 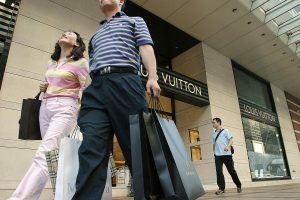 According to data from previous years, Chinese luxury travellers love to shop abroad, but this year, mainland China saw more domestic consumption. This has been due to several key factors, including the Chinese government’s crackdown on grey-market smugglers, changes in tariff policies for travellers, importers, and cross-border online sellers, luxury brands’ decisions to match their China prices with global product prices, and the Chinese government’s development of duty-free shopping, reported by Financial times. 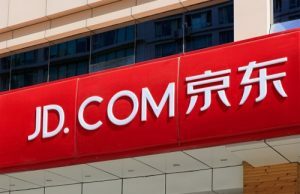 During an interview Ms. Chen, the Beijing-based managing director at the marketing consultancy Simon-Kucher & Partners said, “The rapid development of China’s mobile e-commerce can certainly, to some extent, promote sales of luxury goods”. Is E-commerce a suitable channel to sell bags in China? Customers that opt to shop both in stores and online tend to spend five times higher than the ones that opt for any single medium, stated by a representative of Lane Crawford. The digital space in China is likely to grow and international brands have the opportunity to engage more Chinese customers directly online. Well- known brands, Burberry opened a store in late 2014 on Tmall.com and quickly gained popularity among Chinese consumers. Mobile shopping has become increasingly important, with mobile sales estimated to have grown by 51.4 percent year-on-year to reach $505.74 billion in 2016 (based on preliminary data). If the momentum remained consistent they’re expected to grow by 45.7 percent in 2017, making up 61 percent of all e-commerce sales, according to China’s Ministry of Industry and Information Technology. WE BELIVE IN ROI = E-COMMERCE. This strategy has made our customers extremely satisfied and proved us as a reasonable choice for them. Would you like to sell bags in China’s E-commerce market, and learn about the ideal strategy? You can reach us for friendly discussion and learn about your brand’s prospects in Chinese E-commerce market. Our Digital Marketing agency provides, International Brands with tools that are optimal to unlock this enormous market to earn their full potential and multiply sales with millions of users. If you are interested in exploring Chinese Digital E-Commerce platforms, reach out to us for a customised advice.